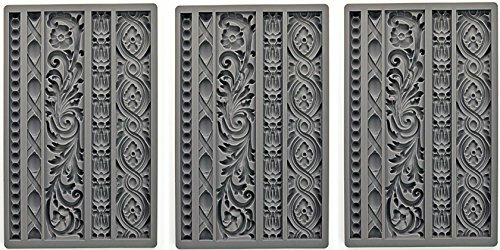 Izod by Prima silicone molds for beautifully dimensional vintage baroque goodies to embellish your decor and craft projects. And they play well with so many types of media- air dry clay, polymer clay, earthen clay, hot glue, even chocolate (food safe rated)! practically any molding medium. Ooh la la.